Enjoy this peaceful country home for everything it has to offer. From the porch, you will notice a beautiful view of the lake. 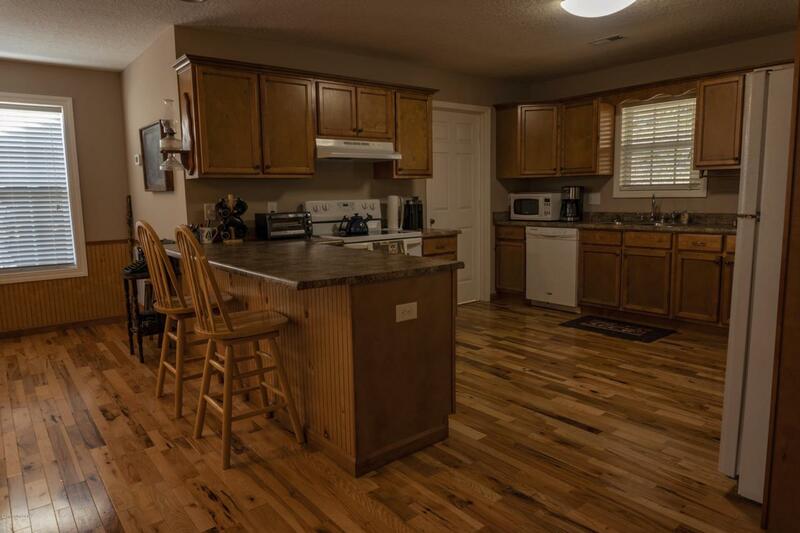 Upon entering the front of the home, you will be blown away by the hardwood floors throughout. Have a pleasant time entertaining guests with the open kitchen and living room floor plan. The bathroom is conveniently centrally located. Both the bedrooms are very spacious giving you or your guests a welcoming feel. Upon exiting out the rear of the home the rocks intricate details will make you feel one with nature. Need a place to store a jet ski, tools or fishing equipment... etc.? The home offers a 2-car carport and storage buildings. This home is a must see whether you a looking for a primary or secondary residence!